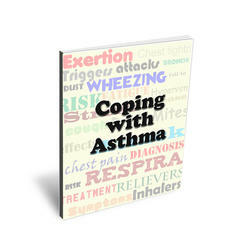 Historically, nebulized drug therapy has focused on the administration of bronchodilator therapy. These treatments were often titrated to effect; thus, differences in qualitative and quantitative performance between nebulizers were not considered. The administration of aerosolized antimicrobial therapy, as well as other biotechnologic agents, requires greater precision and consistency in delivery. Jet and ultrasonic nebulizers have been used to aerosolize antimicrobial therapy. Jet nebulizers used compressed air or oxygen passed through a liquid to produce an aerosol gas. With ultrasonic devices, a piezoelectric element vibrates to generate small aerosol particles. 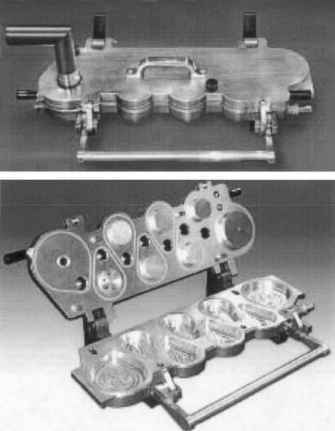 Both systems have advantages and limitations related to their components and technique of use. These are discussed in more detail elsewhere in this text (see Chs. 8, 12). Commercially available nebulizers have different performance characteristics, including aerosol output and the mean size and range of particle sizes generated [5,37]. The volume of fluid being nebulized and the flowrates generated also influence output. Currently available nebulizers deliver approximately 10% of the dose to the airways and alveoli. The remainder either remains within the device, deposits in the upper airway, or is exhaled or swallowed . A multicenter, randomized crossover study to evaluate the delivery of aerosolized tobramycin to the lower respiratory tract was conducted with two jet nebulizer systems . The subjects (n = 68) with cystic fibrosis inhaled single doses of the commercial formulation of inhaled tobramycin delivered by three different nebulizers. The investigators reported that the Sidestream and the Pari LC jet nebulizer delivered tobramycin to achieve median sputum concentrations of 393 mg/g and 452 mg/g, respectively. Concentrations in the target range of 128-2000 mg/g were achieved in 93% and 87% of subjects, respectively. These concentrations were selected because they represent a tenfold increase over the MIC 90 for isolates and a tenfold increase over the most resistant strains identified (256 mg/mL). The authors concluded that either nebulizer system was clinically useful in delivering adequate concentrations to the lower airway of patients with cystic fibrosis. Of interest, the ultrasonic nebulizer (Ultrasonic Neb 99/1000) resulted in a median concentration of 1359 mg/g and exceeded 2000 mg/g in 30% subjects, which the investigators suggested was unnecessarily high. In the studies conducted in support of the commercially available inhaled tobramycin product, aerosol therapies were delivered using a PARI LC Plus nebulizer and a Pulmo-Aide compressor. Currently, the commercial product is labeled for use with the PARI LC Plus nebulizer. Some progress has been made in developing alternative devices for the delivery of inhaled antimicrobial therapies. Colistin has been formulated in a dry powder inhaler and evaluated in healthy individuals and patients with cystic fibrosis . Peak serum concentrations of colistin were 2.5-5 times higher when 25 mg of colistin sulfate dry powder was inhaled compared to 160 mg of colistin sulfomethate delivered by nebulization. Some patients experienced a decrease in pulmonary function and severe cough with the dry powder; however, the investigators felt that this may be improved with a reduction in dose. Although these results are very preliminary, they suggest that this inhalation delivery system is promising.